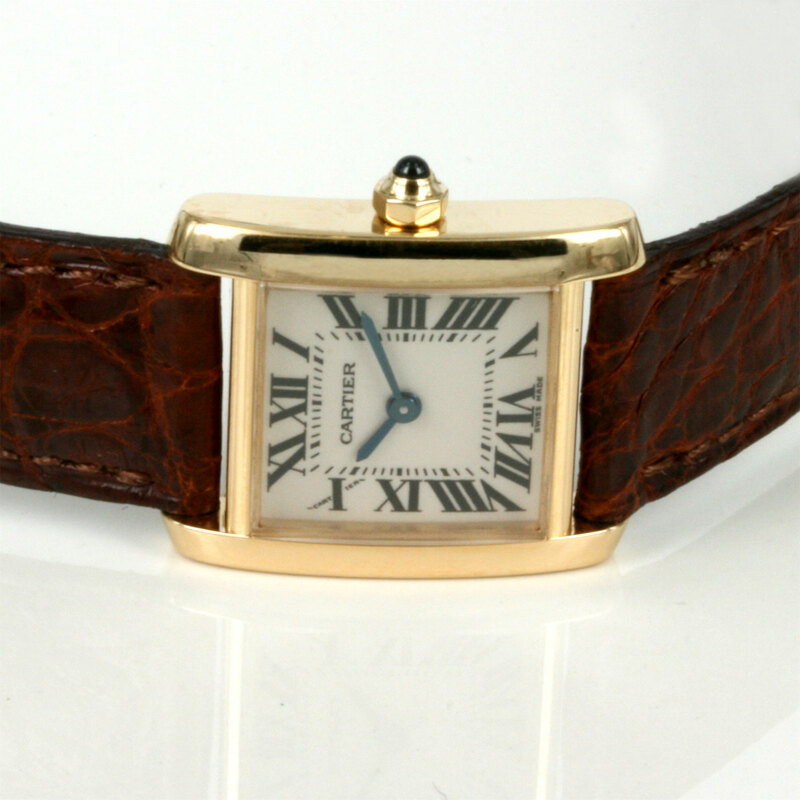 18ct gold Cartier Tank Francais watch. Product code: 1406 Categories: Sold Items, Sold Watches. Here is such an elegant ladys 18ct yellow gold Cartier watch that is simply perfect for any occasion. The Cartier Tank Francais, model 2385 with the Cartier quartz movement. Measuring 25mm x 20mm (plus the sapphire set crown) and with the traditional white dial with black Roman numerals, this Cartier Tank is such an elegant design. 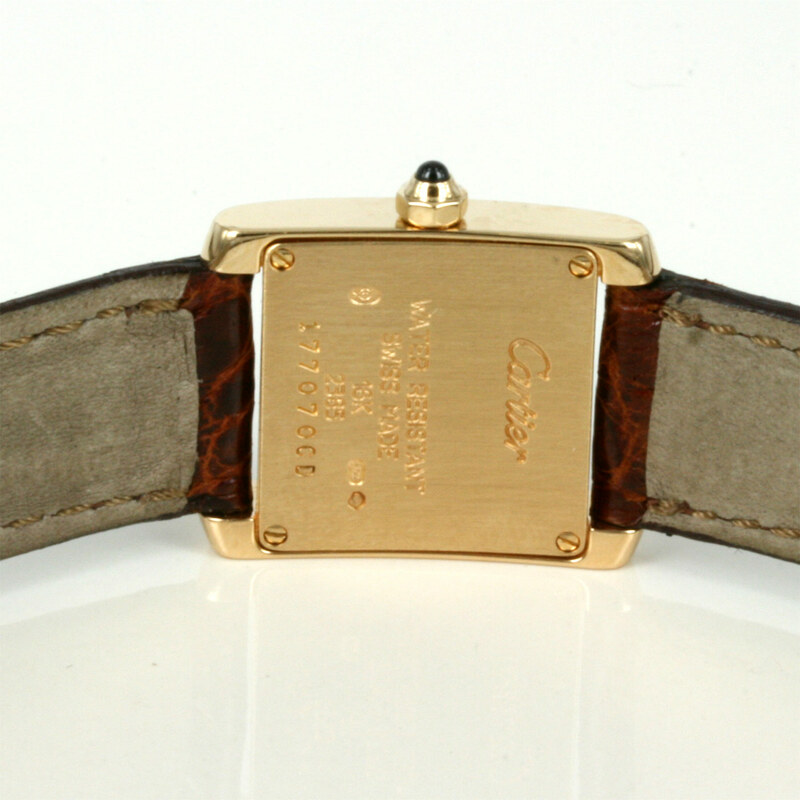 With the Cartier leather band and 18ct yellow gold Cartier buckle, this Cartier watch will look so good day or night.